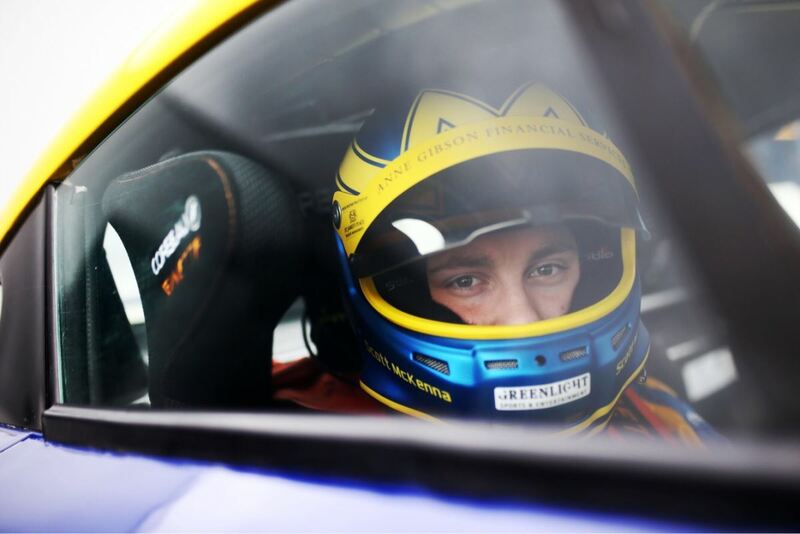 Scott McKenna is a British racing driver focused on his ambition to become a professional racing driver in GT and Endurance racing. 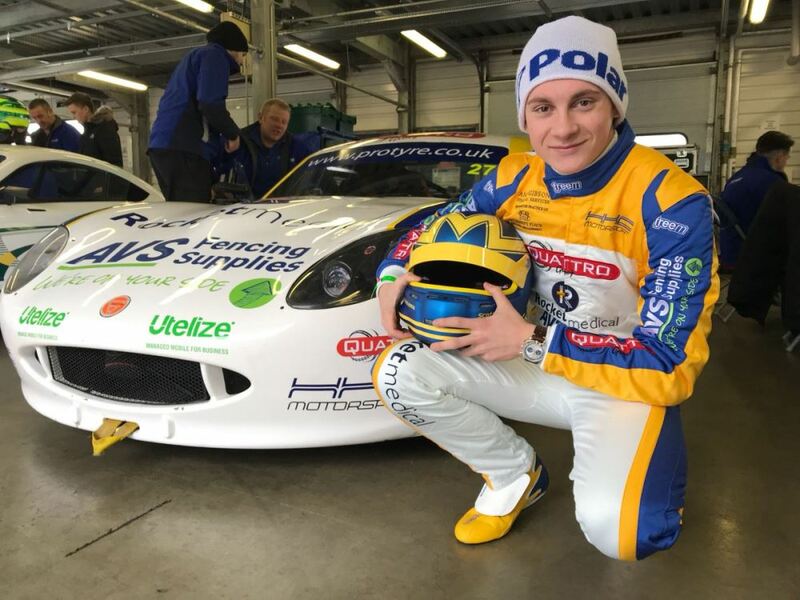 Scott learnt his car control skills and honed his abilities through the family’s Ice Driving business in Scandinavia each winter. 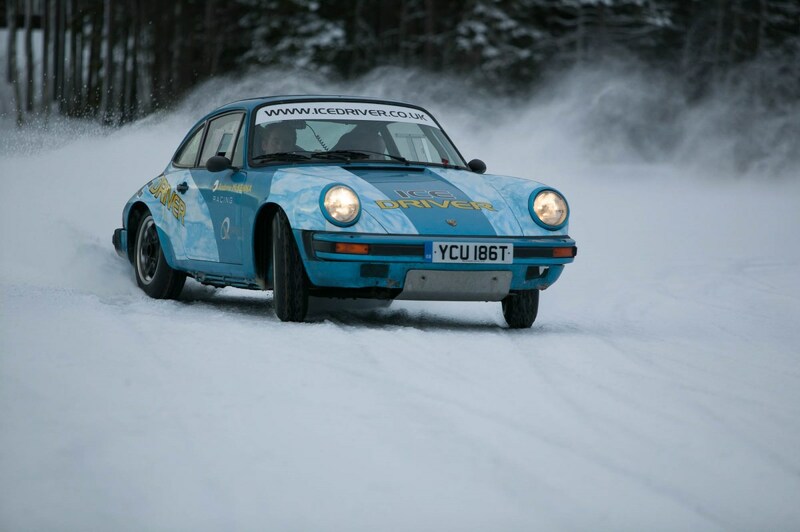 From the earliest age, he could be found propped up behind the wheel driving on the frozen lakes of Scandinavia, developing the vital feel, his relaxed in car attitude and instinctive reactions that now prove to be his key assets. A lack of funding cut short his 2017 season. Rather than try desperately to fund his season race to race, he chose to regroup and embark upon a more structured approach for 2018. 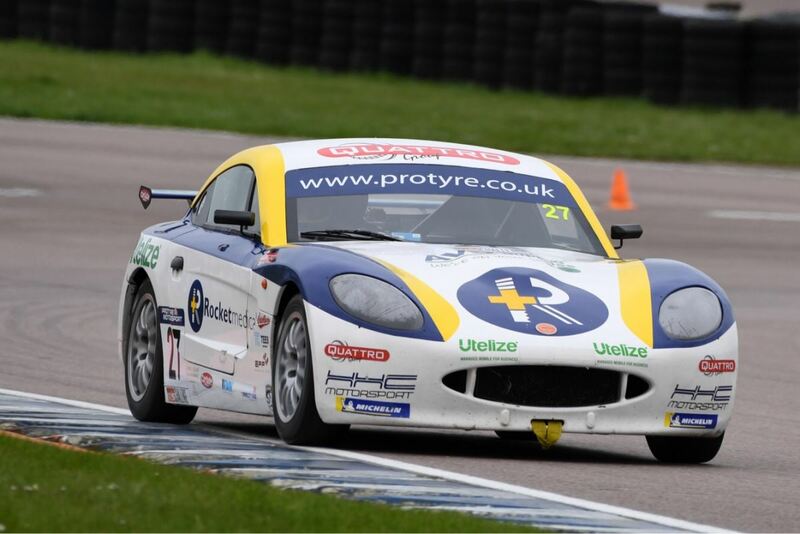 This mature attitude has led to Scott forming relationships with several vitally important marketing partners for the 2018 season to embark on the 2018 Ginetta GT5 Challenge. Pictured below: Scott on media day for the upcoming season sporting not only his full racing kit but also his Geckota C-01! 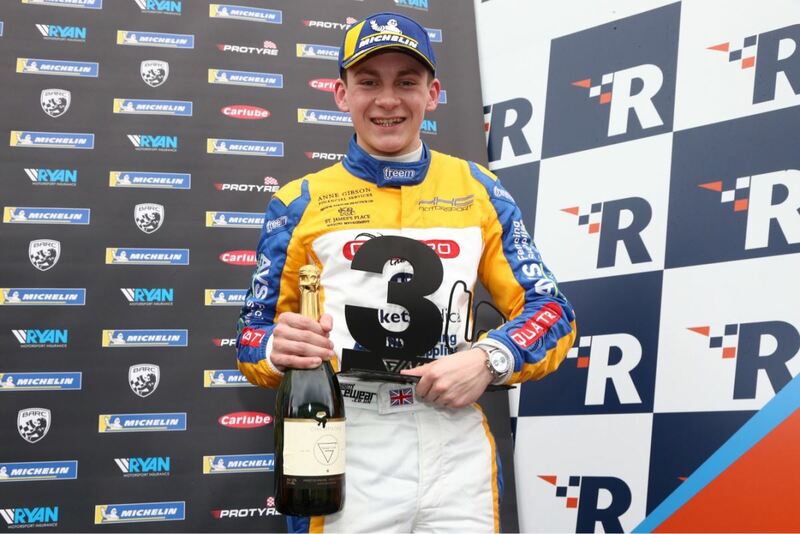 Scott's passion for cars, as well as watches, made the decision to support him a very quick and easy one. 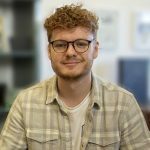 Like-minded individuals who share the same genuine desire and determination to always achieve the best they can is important for us and we feel Scott is a perfect match for the whole team here at WatchGecko. 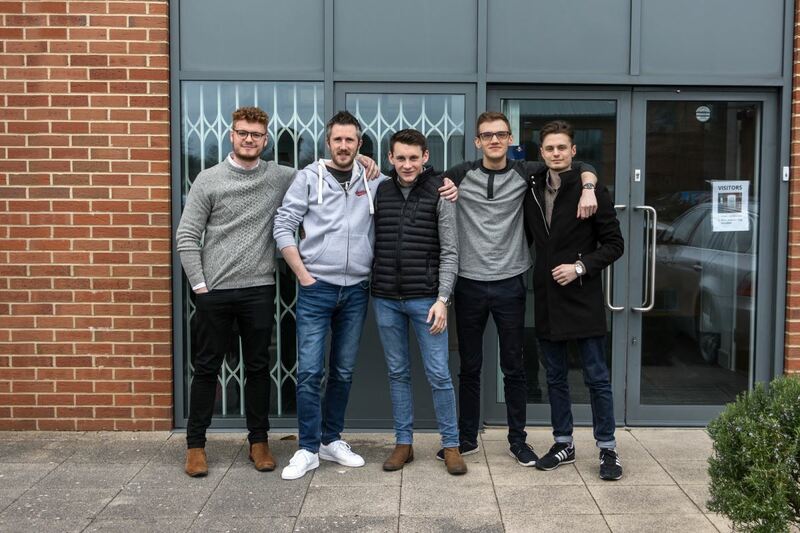 All of us here at WatchGecko are very excited to be apart of Scott's journey and we'd like to all wish him the best of luck for the season ahead. We will be updating you all with news and images of Scott throughout the season so keep your eyes peeled for more updates! It's the 31st of March, the morning of the first race weekend of the season for Scott. 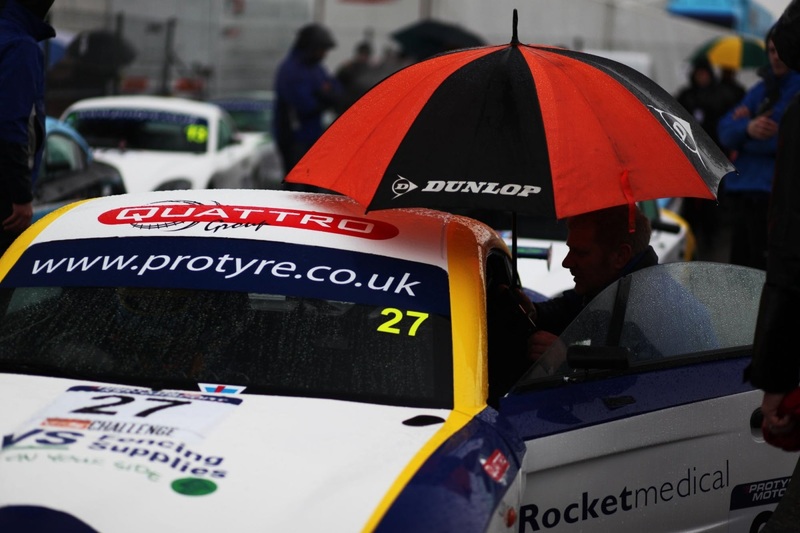 The revenue for the race is Oulton Park and unfortunately, the weather was against all racers. Scott finds himself on the soaking wet grid, having achieved the lowly, by his standards, position of 17th. “There was an issue with the car that I had no control over, so that was the best we could do.” As the lights changed, Scott’s lack of a chance to practice race starts on the different tyres meant that he dropped to 20th. 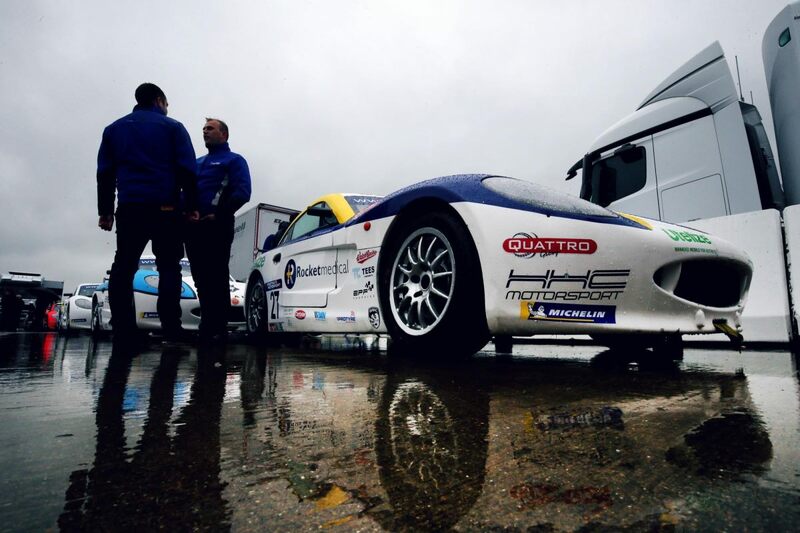 With the races being of only 15 minutes duration, a slow start makes everything that much harder, with Scott climbing through the rain to reach 14th place, his starting position for Race Two. “I didn’t know that I’d done it at first. I’d been fourth and I knew that I was improving, though it didn’t actually feel like that quick a lap. 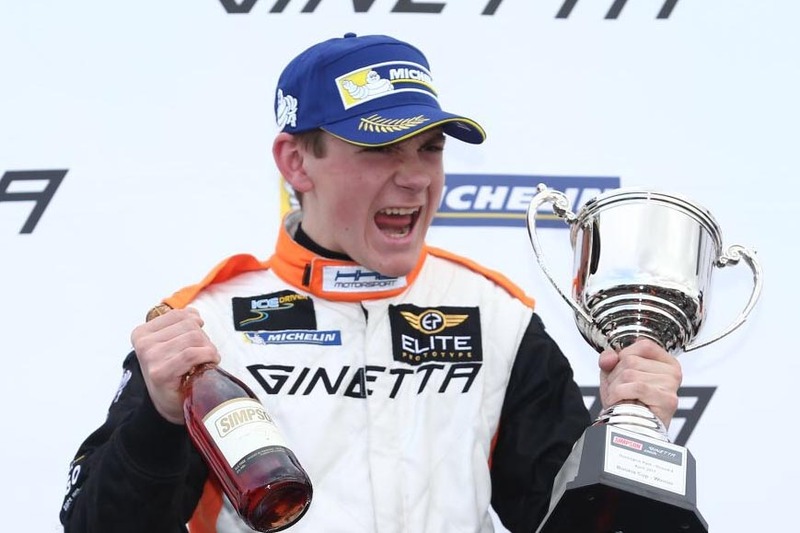 That was Scott’s recollection of his first ever pole position at Rockingham recently, something that is a special milestone in any racing drivers career. 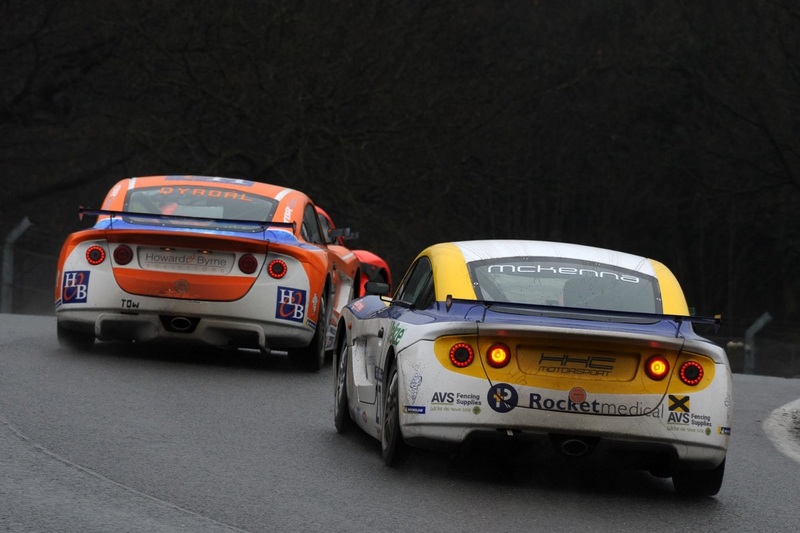 Qualifying in the Ginetta GT5 series is a busy process. With 32 cars all trying to post a time on a 2 mile race track, the chances of a completely traffic free lap is pretty remote. It is, of course the same for everyone and despite trying to be the first cars out on track, Scott found himself waiting in the pitlane as the session was red flagged after just one lap. 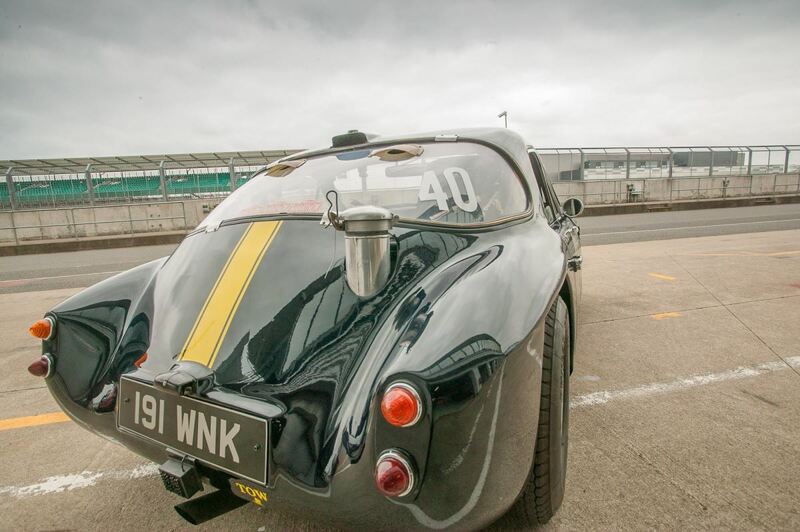 Find out more about Scott's recently weekend fun where we stopped off at Oulton Park racing circuit to drive a 1963 TVR Grantura racing car! Robi has owned the car for a few years now and while he knew that Scott would be quicker (after all that’s his job) he was a little surprised to be six seconds off Scott’s pace. “Our first reaction was that he really ought to have more respect for his elders! Come the race, Robi started and ended his stint in fourth place. A less than stellar pit stop saw them drop down to 14th place as Scott rejoined. A spirited fightback found the car finish in 3rd place, Scott absolutely thrilled to have brought the car home in such a competitive way. Trophy time saw a good-natured debate as to whether AMOC rules allowed a trophy to be awarded to a driver who was sitting GCSE English the following week, but Scott promised not to take it to the exam room. This week's plans? Revision, more revision, check that he has lots of spare pens and that his calculator has spare batteries. Roll on the end of term." Check out one of Scott's laps from the weekend below! As many of you know, here at WatchGecko it's not just watches many of the staff like, but an old-school classic car like this TVR also gets us going. This strange handling was something that Scott had to contend with throughout the weekend and for some reason, it was something that could not be resolved. 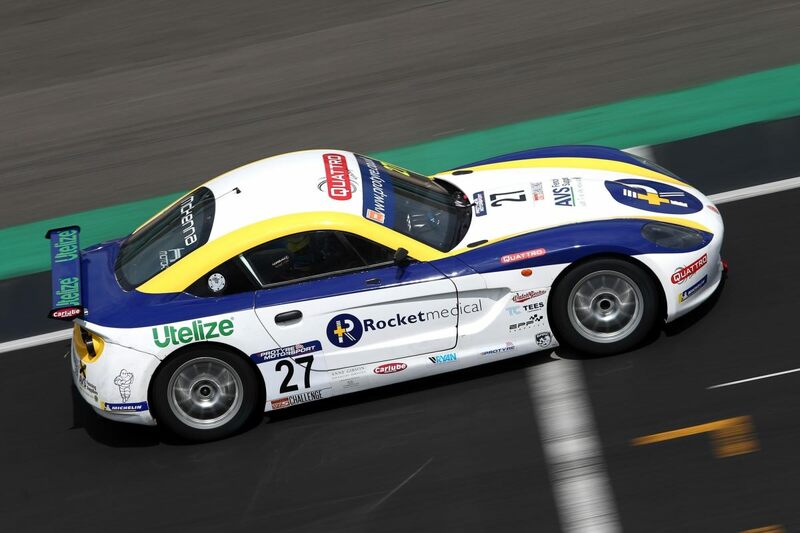 Race Two provided little comfort from the handling problem, so Scott simply concentrated on extracting the very best from his own ability, the result being a 9th place finish. 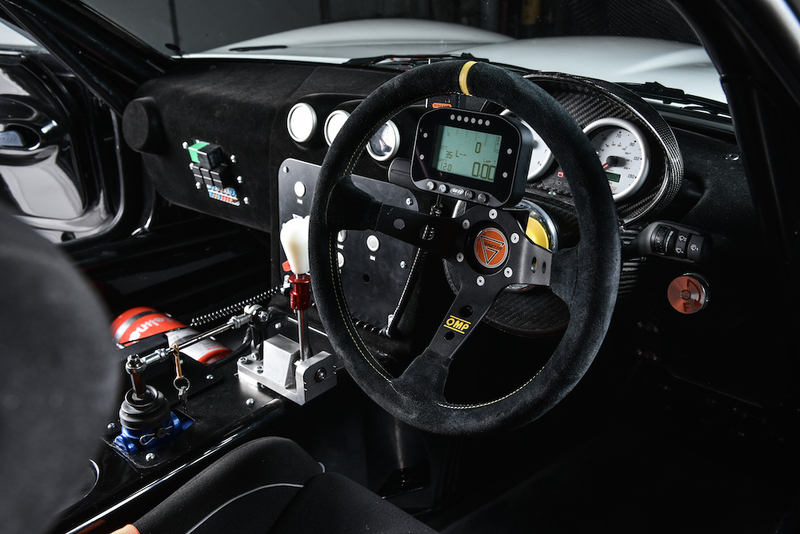 As Scott said, the inside of his Ginette GT5 was an exciting place to be at the high-speed curves of Thruxton, though not a particularly efficient way to obtain championship points." 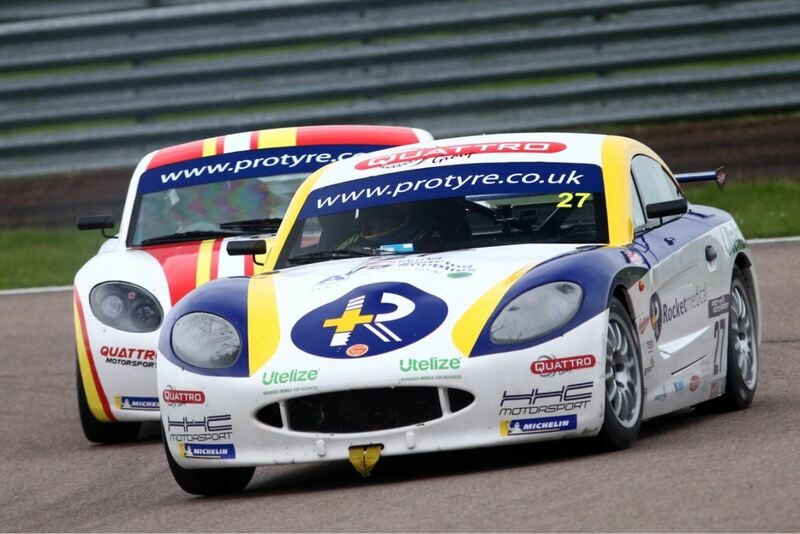 Saturday’s qualifying was hectic with Scott making the best he could from a packed circuit of 58 cars, qualifying tenth overall. While the position wasn’t that good, Scott was calm. 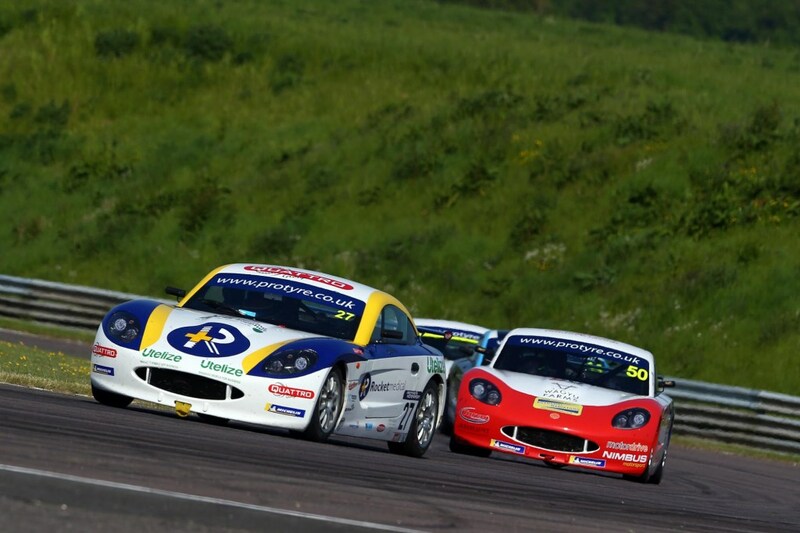 Sunday’s races proved to be exciting and eventful. Scott worked his way up from 10th to third place, earning another podium. Race Two was exciting, with Scott battling with Connor O’Brien A very small mistake by Connor left a gap for Scott to take advantage of. 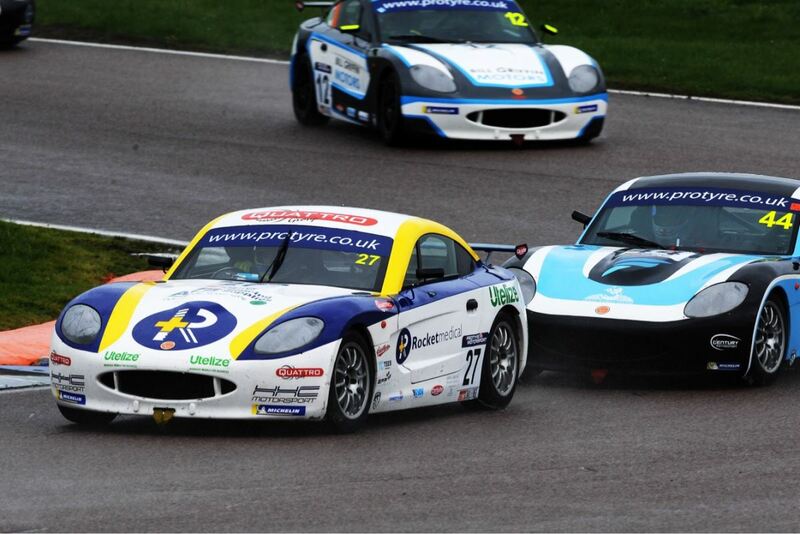 Though he was alongside, Conor moved across and ‘one of those racing incidents’ ensued. 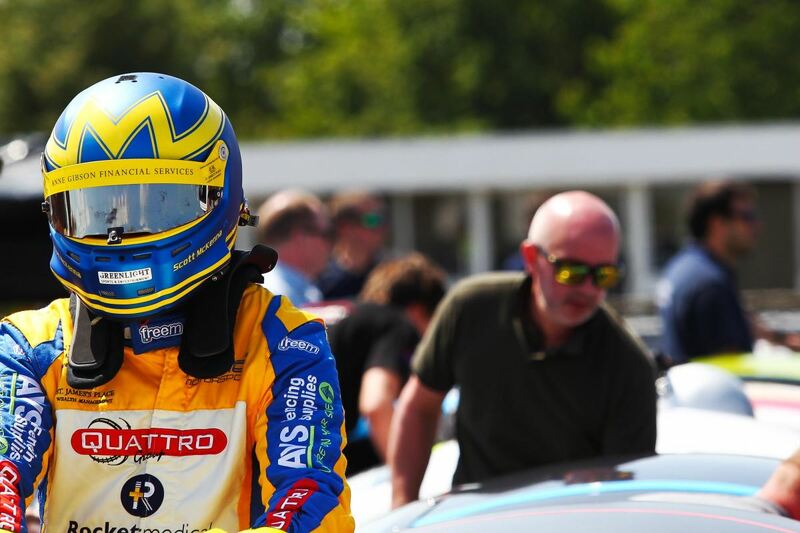 Both drivers were summoned to the stewards and initially, Scott was penalised significantly, losing 15 championship points, 3 point endorsement on his licence and losing his third-place finish. Scott gave his account to the officials, simply stating that the overtake was a move he had already done successfully earlier in the race on another car at the same corner and that he was actually alongside and committed to the line when the other car moved across. Replays of the video supported Scott’s account and he was exonerated, his points and championship position restored. 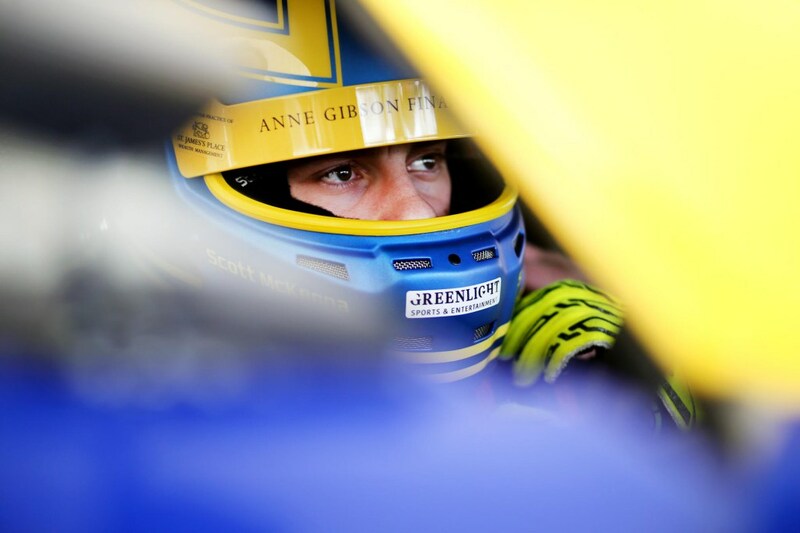 It was time-consuming but worthwhile experience for Scott as in many of today’s televised race series, driver standards can sometimes be questionable and it shows that hard but close racing is what everyone wants, all the while drivers remaining in control of their emotions and abilities. "Accidents happen. The disclaimer on your entrance ticket and the signs around the circuit explain as clearly as possible that motorsport is dangerous. As a driver, it’s a risk that each person deals with individually and Scott’s turn came on Monday, with consequences that we could not have anticipated. 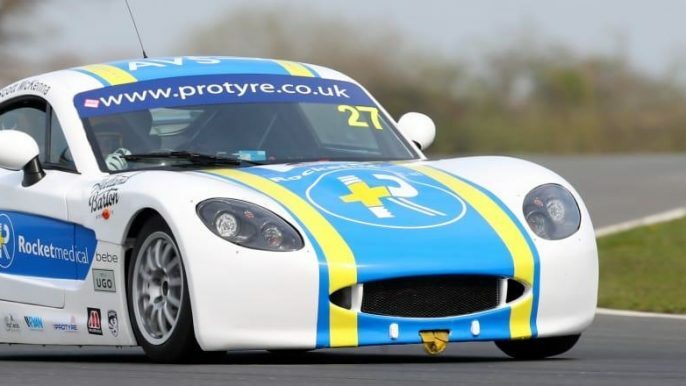 Monday morning’s testing finished suddenly and dramatically for Scott as, after making a mistake and spinning into a gravel trap, he was hit very hard indeed on the right front corner by his teammate Gus Bowers’ car who had, in turn, been hit by a less experienced driver. 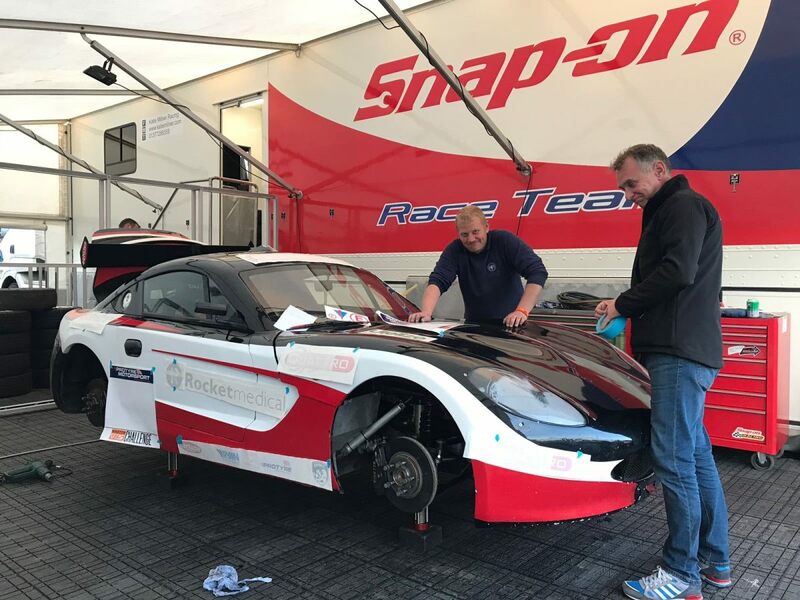 What started as a simple excursion into a gravel trap turned into a massively expensive and potentially dangerous incident for the HHC racing team, with heavy damage to both cars through being involved in an incident triggered by someone else. 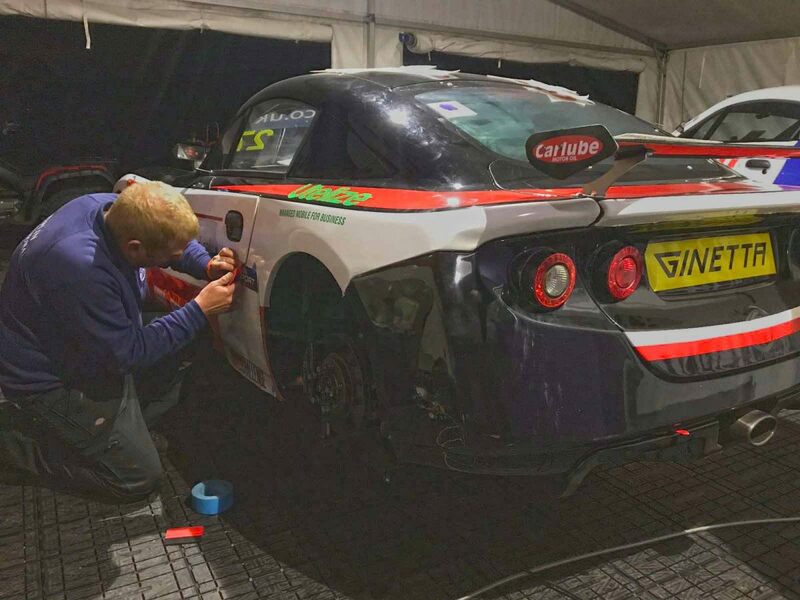 The cars were recovered to the paddock and despite the very best attempts of the HHC Racing technicians, the car was deemed beyond repair at the circuit. With Scott’s teammate having the option on the only spare car on it’s way from the team’s Yorkshire HQ, it seemed that the entire week’s schedule was to be abandoned, with no race this weekend either. Oh, and did we mention he got his exam results through? 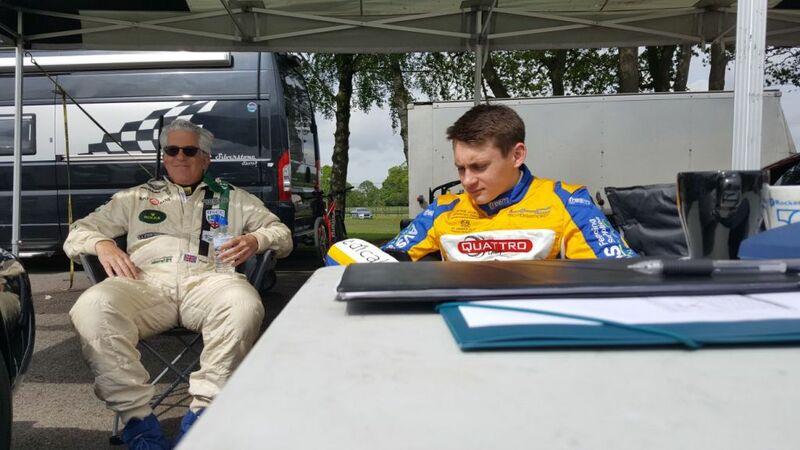 That time-consuming Silverstone English exam proved to be OK after all, he passed them all. We think it’s going to be an eventful weekend." As a racing driver myself I’m very excited for Scott and WatchGecko for the up and coming season. Scott is a determined and very well skilled individual who will carry team along with him on this fantastic journey and trust me you won’t be disappointed...!! watch this space...!! I also love my watches and will be interested to see what time pieces are on offer to add to my collection.... good luck Scott. Like the look of Scott's watch? Shop the McKenna look here! Want a more racing look for your watch? 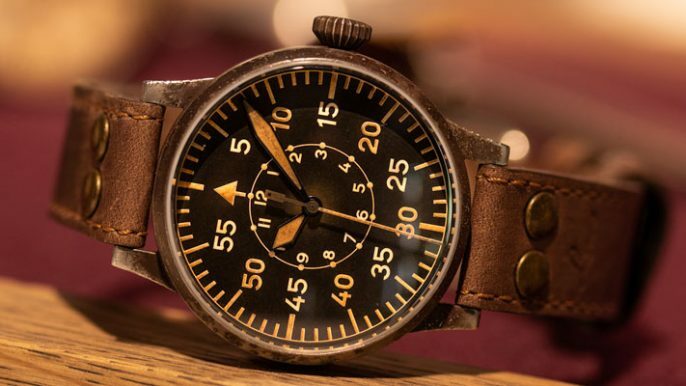 Prefer a smaller sized chronograph? 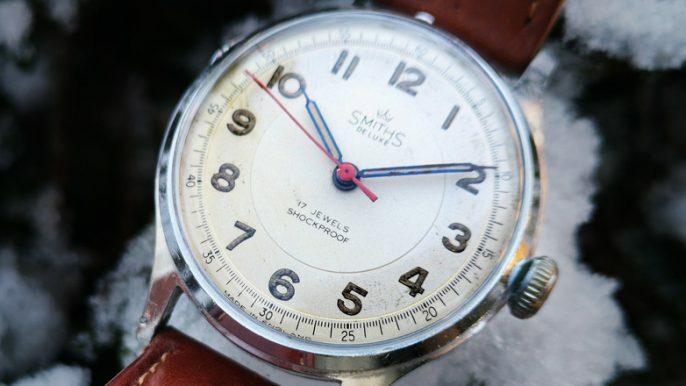 Why not check out the C-02 range coming in a 39mm case!